Dr. Lee and his students are working on research projects in the BBDL to further their knowledge about the biomechanics and biomedical industry. We will be featuring a video each month about BBDL members and their specific projects in the lab. Click here for more information about the BBDL. 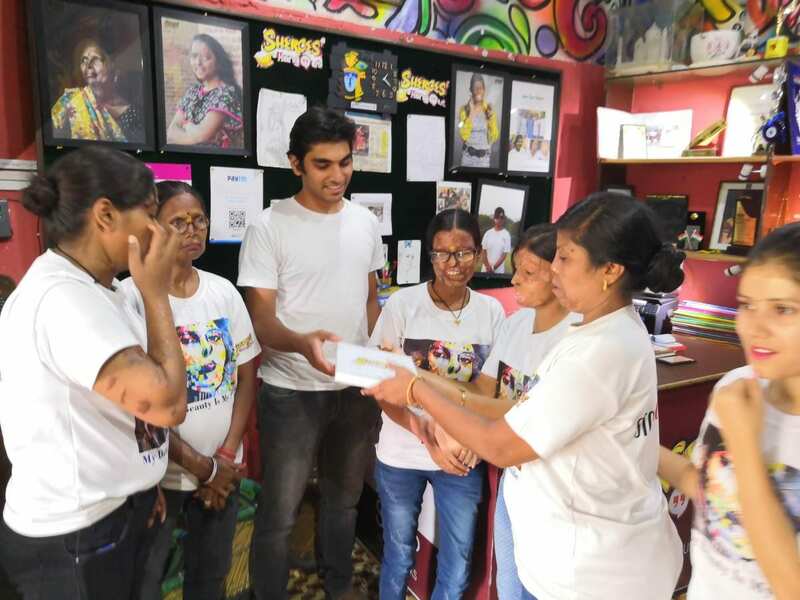 This summer, after being chosen for a $10,000 grant to promote peace, three OU students carried out their project proposal to provide menstrual health education in India. Senior Pranav Mohan, senior Cindy Belardo and graduate student Abhishek Yadav won United World Colleges’ Davis Project for Peace Grant after forming a proposal to travel to India to educate women about menstrual health. 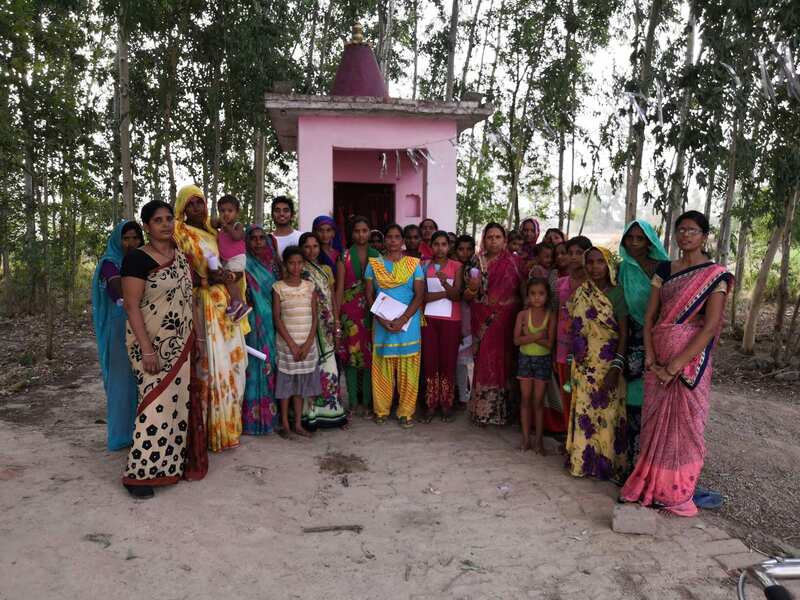 This summer they put the proposal into action with Mohan travelling to villages and schools in Lucknow in the Indian state of Uttar Pradesh, and educating women about menstrual health in areas where it is a taboo subject. Yadav said that Mohan and Belardo were very passionate about the subject and his role was to help them do the research to find their main focus point, which was educating women about the menstrual cup. The lack of education about menstrual health means that women aren’t aware of all their options and it can make menstruation a negative experience for women, said Mohan, a mechanical engineering major. Mohan said the team sees the menstrual cup as the best menstrual health option for many women. Mohan said that there are a variety of reasons they suggest women use the menstrual cup, including that it lasts up to 12 hours, there’s less of a risk of toxic shock syndrome as there is in tampons, you can use the same cup for 8-10 years, it’s silicone so it molds to your body comfortably and it’s environmentally friendly and cheap. Belardo, an environmental studies pre-medicine major, was involved the preparation and organization of the project. After the group conducted research, the information they gathered was used to create manuals which they gave to volunteers from the NGO they worked with, Belardo said. They chose to use the volunteers to speak with the women because they felt that it would be easier to hear about menstrual health coming from Indian women they could relate to, she added. Mohan said there were about 12 seminars lead by the volunteers, each 2 hour long sessions, reaching around 300 women. Though 300 seems like a small number, he said the women are likely to talk about the menstrual cup with their friends and spread the idea by word-of-mouth. Mohan said the students bought the menstrual cup in bulk and sold it at a cheaper price to the women, with 138 buying one. One of the volunteers is following up with the women who chose to try the menstrual cup to see if they are experiencing any problems and if they like it, Belardo said. Other than promoting the menstrual cup, their main purpose was to educate, Belardo said. 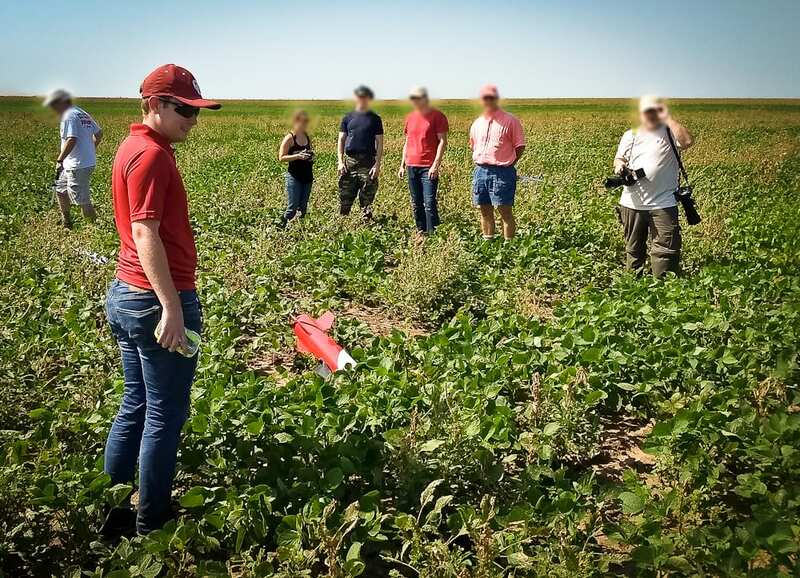 On August 5th 2018, Dr. Hays’ research group in the Department of Aerospace and Mechanical Engineering launched two 12.5 ft.-tall, 60+-pound rockets carrying customer payloads in Argonia, Kansas. 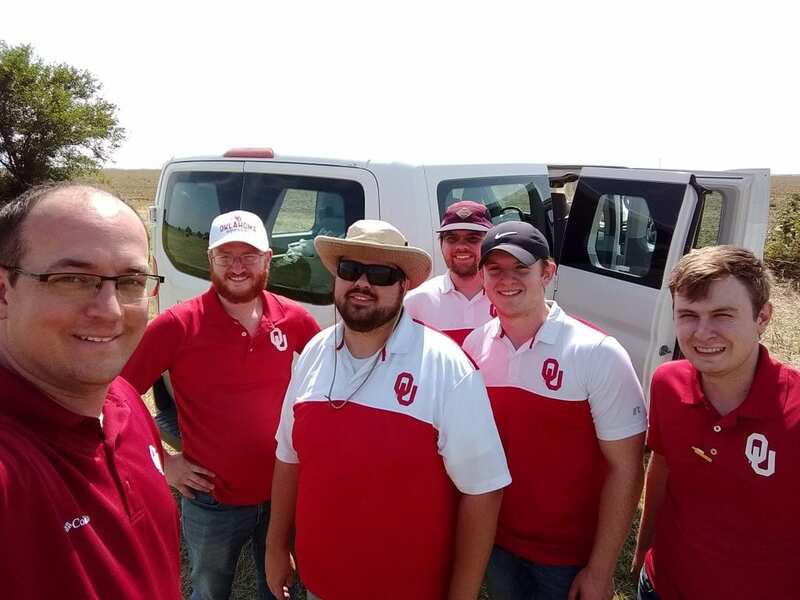 Undergraduate aerospace engineering students Alex Speed, Trevor Trevino, Christopher Hughes, William Wadkins and Jarrod Manning successfully built and flew the two rocket systems with assistance from Dr. Hays. Senior aerospace engineering student Alex Speed obtained the University’s first undergraduate Tripoli Rocket Association Level 3 certification as a result of his successful launch of “Godspeed.” The second launch of “Spednik” brought OU Aerospace into the supersonic realm by reaching Mach 1.15. Both rockets successfully delivered customer data from the payload, and were tracked directly to their landing site using Telemega GPS telemetry systems. The AME department would like to thank our payload customer, the Kansas ‘Kloudbusters,’ and Tulsa TRA prefecture members for their help in making the launch such a success. AME’s student wind tunnel design team recently accepted an award in Albuquerque, New Mexico, on the weekend of April 13th at the student conference of the American Institute of Aeronautics and Astronautics (AIAA). 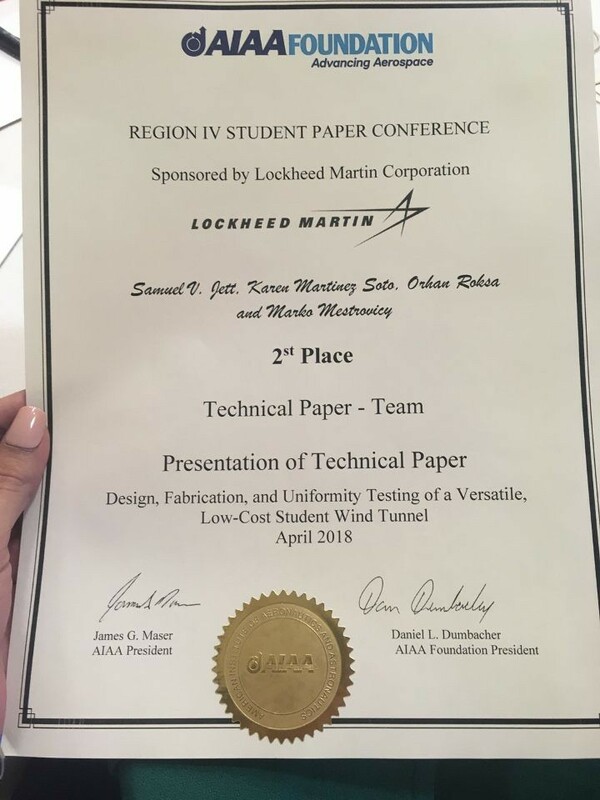 Representing the team, Karen Martinez Soto traveled to the conference to accept the 2nd place award on behalf of her team for the AIAA region IV team technical paper category. In addition to Soto, her teammates include Samuel Jett, Orhan Roksa, and Marko Mestrovic, who are all undergraduate students at AME. Their paper highlights the design, fabrication, and uniformity testing of a low-budget, wind tunnel. With a budget of only $5,000, their group examined characteristics of wind tunnels through computer models and they continued their study further by building a tunnel of their own to test other aerodynamic components. The focus of their design and construction for this tunnel, according to their paper, serves to provide “a robust platform for development and testing of many aerodynamics components, including UAV propellers.” Congratulations to Karen, Samuel, Orhan, and Marko for their impressive efforts to design and test a wind tunnel and their 2nd place award from the AIAA student conference. The Gallogy College of Engineering would like to congratulate those who participated in the 3 Minute Thesis competition, which was held on January 23, 2018. The University of Oklahoma’s Three Minute Thesis competition is an opportunity for people to share their research with a broad audience as well as compete for competition prizes. 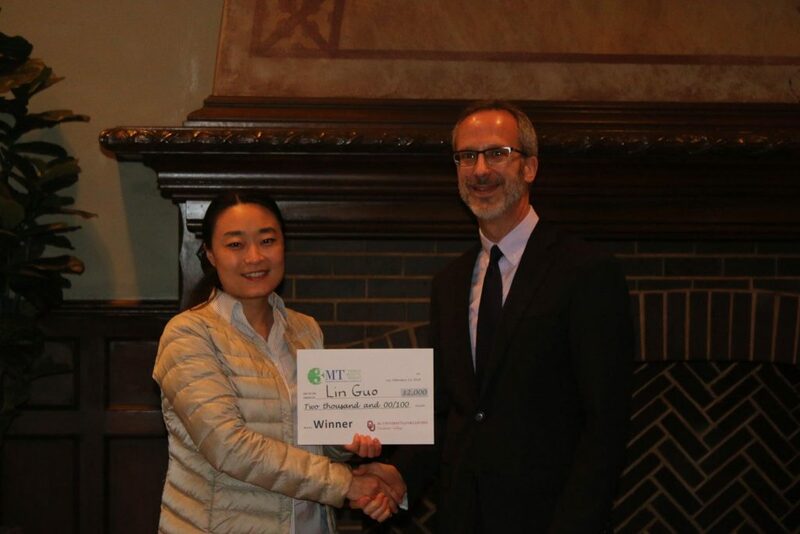 A special congratulations goes out to Lin Guo (ISE) for placing first in the 3 Minute Thesis competition for her presentation “Improving Social-Ecological System through Dam-Networking Planning.” Lin will proceed to represent OU at the Regional 3 Minutes Thesis competition later this year. 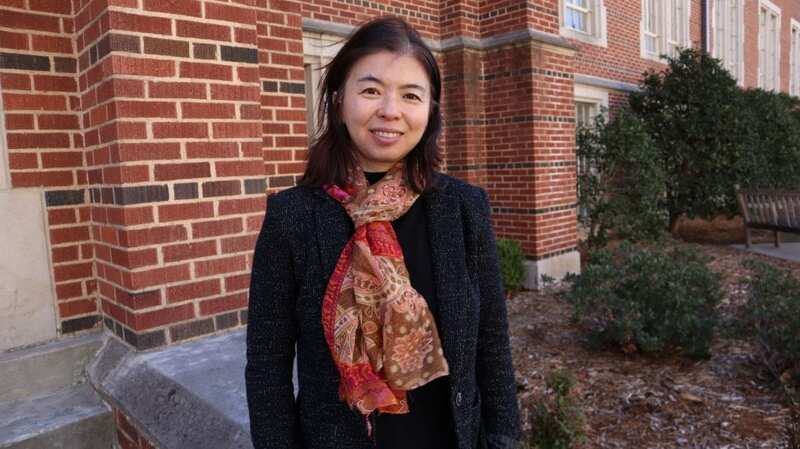 Additionally, Lin is a member of the Systems Realization Laboratory here at OU and is being mentored for her dissertation by Janet K. Allen and Dr. Farrokh Mistree. 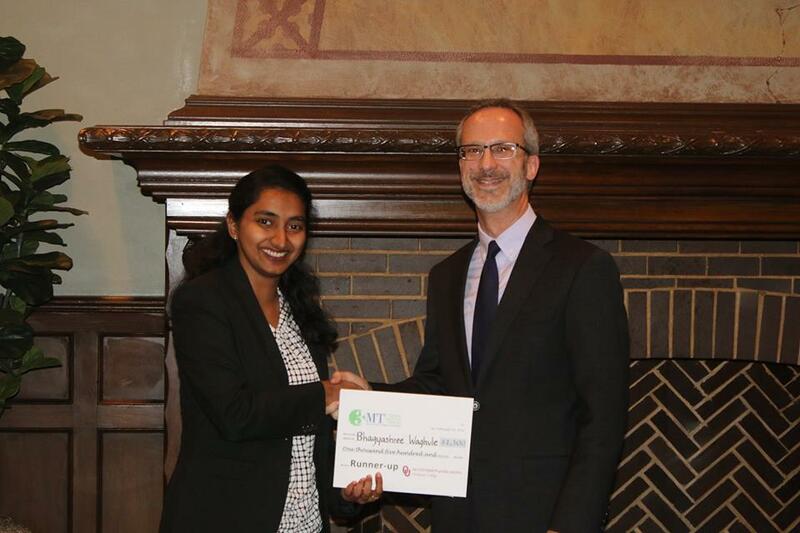 A second congratulation goes out to Bhagyashree Waghule (AME) for placing second in the 3 Minute Thesis competition for her presentation “Artificial Gravity for Long Human Space Flight Missions.” Bhagyashree is currently being mentored for her master’s degree by Dr. David Miller. We would like to thank the Graduate Student Community (GSC) leadership team for helping Bhagyashree, Lin, Abhishek Yadav (ISE), and Reza Alizadeh (ISE) prepare for the first round of competition. Lastly, thank you to Mustafa Ghazi for preparing and sharing material, along with his experience to help the competitors prepare for the 3 Minute Thesis Competition. It was great to see the excellent turnout of GSC members at the 3 Minute Thesis Competiton! Newswise — NORMAN – Geometry is often referenced for matters of the heart. Marriage has been described as “two parallel lines,” and others have compared love to an “irrational equation” or as unending as “pi.” But when it comes to the medical matters of the heart, geometry can be a lonely and dangerous affair. Lee’s recent research is focused on a predictive surgery for a serious heart condition called Functional Tricuspid Regurgitation, which affects approximately 1.6 million Americans. FTR is typically caused when the left side of the heart fails, causing the right side to expand and a geometric distortion of the heart. The distortion can lead to reverse blood flow, poor functioning of the heart valves, or worse, heart failure on the right side. Long-term surgical outcomes to repair FTR have a 20 percent moderate to severe recurrence rate by 10 years after initial surgery. Also, up to 40 percent of patients who have cardiac surgery require additional surgery within five years due to the individual’s heart characteristics. This results in more open-heart repeat surgeries and significant increases in risk and mortality. Lee and his team are developing a predictive modeling tool for individual-optimized heart valve surgical repair. The customized analysis will be a surgical planning tool for the treatment of that patient. Lee’s team uses a combination of clinical image data, such as functional magnetic resonance imaging and clinical computed tomography, to reconstruct a 3D computational model of the heart. Lee’s model would guide surgeons on the best approach to repair FTR in a particular patient, reducing the risk of reoccurrence. “Often, surgeons may have several options on how to repair a heart,” Lee said. “They may try to manipulate the geometry of the heart or valves or change the size of each individual apparatus. We can simulate those surgical scenarios, one by one, to know the individual-optimized therapeutic option.” The right approach can improve the durability of the repair. The intersection of science, computational science, clinical research and the heart make a healthy affair. 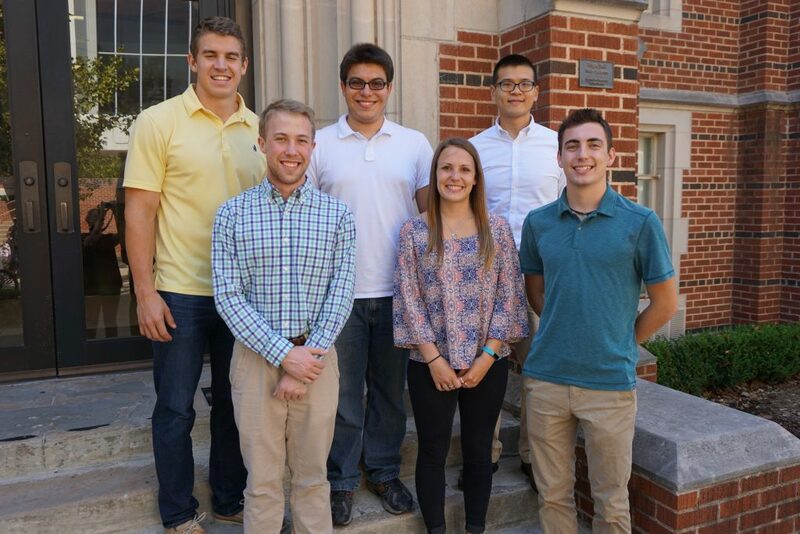 The Gallogly College of Engineering at the University of Oklahoma challenges students to solve the world’s toughest problems through a powerful combination of education, entrepreneurship, research, community service and student competitions. 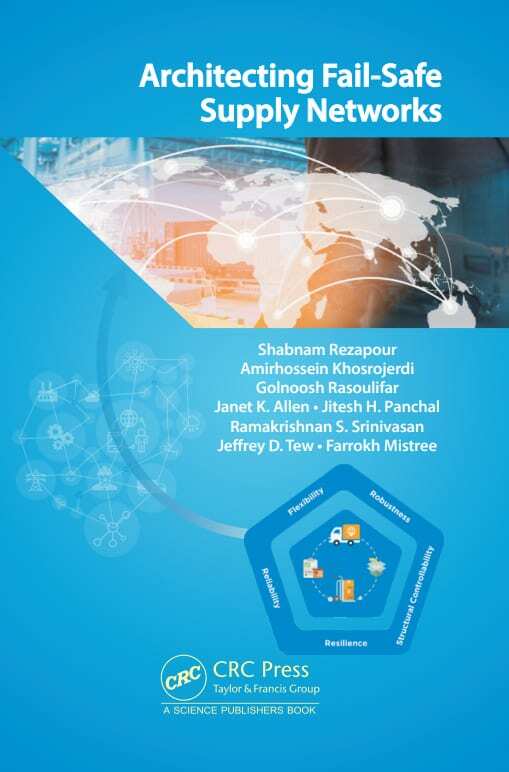 Research is focused on both basic and applied topics of societal significance, including biomedical engineering, energy, engineering education, civil infrastructure, nanotechnology and weather technology. The programs within the college’s eight areas of study are consistently ranked in the top third of engineering programs in the United States. The college faculty has achieved research expenditures of more than $22 million and created 12 start-up companies. 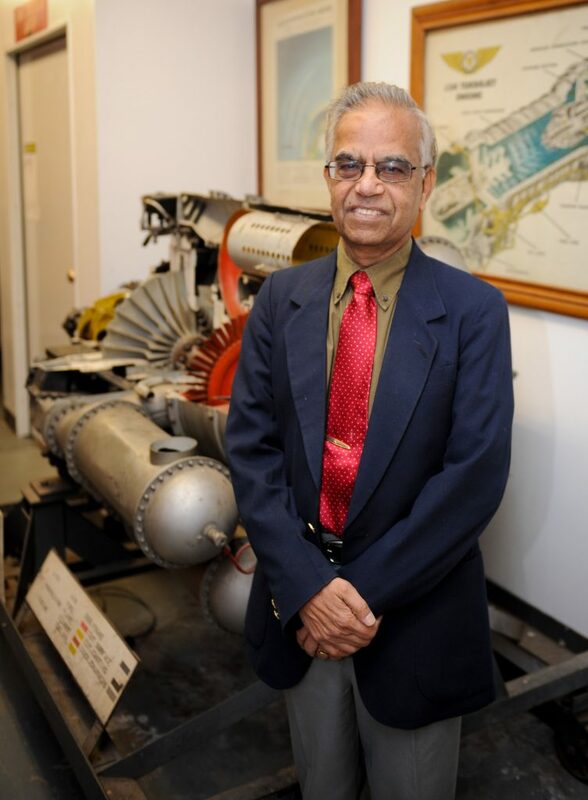 Professor Subramanyam Gollahalli, Lesch Centennial Chair at the University of Oklahoma (OU) School of Aerospace and Mechanical Engineering (AME), retired and transitioned to emeritus status in May 2017, after 41 years of service at OU (52 years including his tenure at the Indian Institute of Science, India and the University of Waterloo, Canada). His service included eight years of directorship at AME. His distinguished career was marked by many awards from various professional organizations and many recognitions from OU, including the Regents Superior Teaching Award and Regents Professional Service Award. A few of the awards bestowed upon Professor Gollahalli are the Westinghouse Gold Medal, the Energy Systems Award, the Ralph James Award, the Ralph Teetor Award, the Samuel Collier Award and the Sustained Service Award. 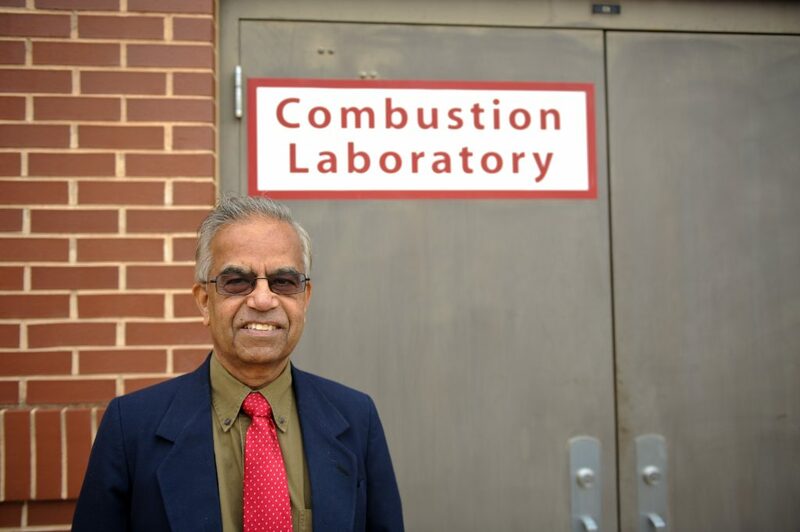 Professor Gollahalli’s research in energy and combustion involved many experimental studies. He founded the internationally-recognized Combustion Laboratory, where he mentored over 100 graduate students (M.S. and Ph.D.) and post-doctoral associates and produced nearly 300 publications. He involved many undergraduate students in his laboratory research as well. Professor Gollahalli strongly believes that “hands-on experimental experience” is an essential component of engineering education to prepare well-rounded engineers. He was the founding chair of the AME Laboratory Committee (1989), in which capacity he served until retirement (with a break during his directorship). He was the author of the “AME Lab Plan” required by the accreditation agency, which provides guidelines for various laboratories (two required labs and five elective labs). It deals with coordination, safety aspects and general guidelines for funding and conducting laboratory courses. 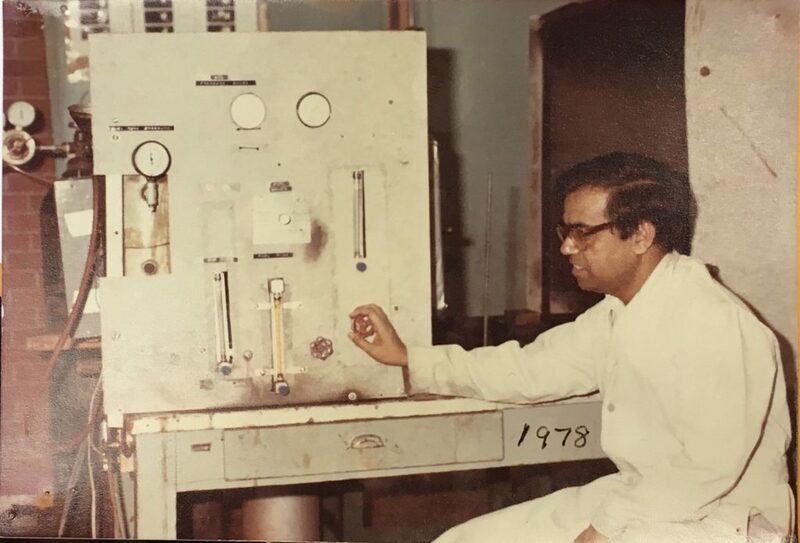 During his tenure as the chair, he raised funds and arranged allocation of funds through the Lab Committee to modernize the lab education to keep pace with technological innovations. “Dr. Gollahalli is a truly dedicated professor, he inspires his students to solve problems and make a difference,” said Sai Gundavelli, AME alum. His passion for giving students hands-on experience resulted in the modernization of the AME machine shop with numerically controlled equipment. 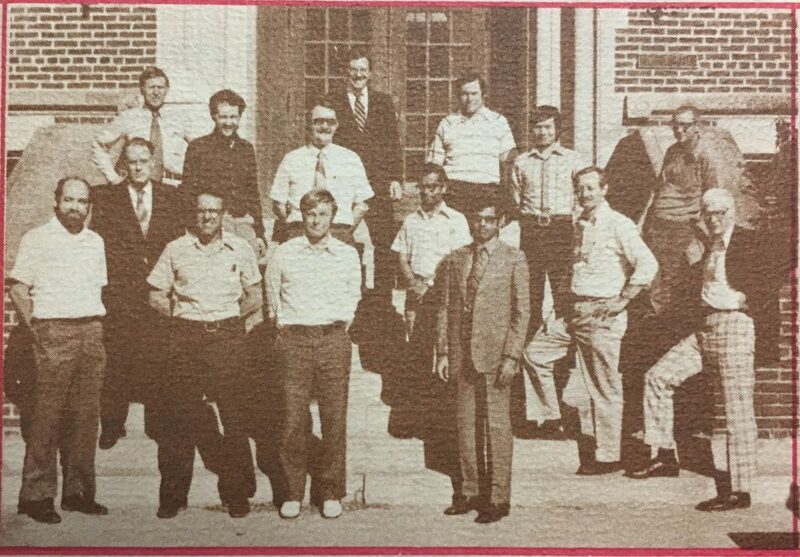 During his directorship, he gave priority to funding labs and the machine shop in which students were given the opportunity to work by themselves under the supervision of machine shop staff. The capstone design project program, which involves industrial projects, saw a major growth in size and increase in funding during his directorship. The AME Capstone Project Poster Fair, where students exhibit their hands-on developed creations and win awards at the conclusion of judging by the industry personnel, became an annual popular event during his term as the director. During his tenure as the director, he encouraged and supported the student competition activities, such as Sooner Racing Team, Human-Powered Vehicle Team, Robotics Team and Design-Build-Fly Team. The teams facilitated direct student involvement in designing, manufacturing and competing in national events. He personally attended some of the competitions to encourage students. He took great pleasure and felt proud when the teams achieved high national rankings. 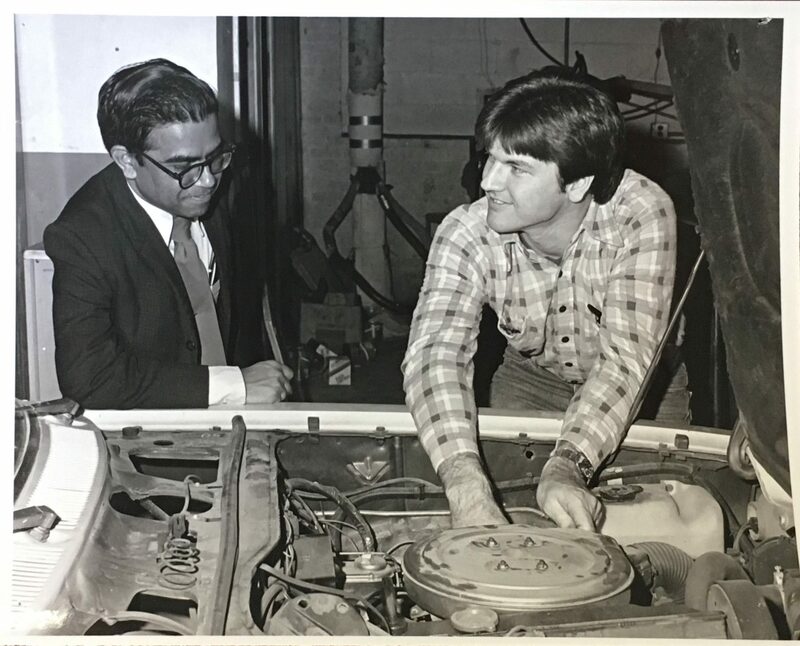 When Professor Gollahalli stepped down from the directorship after eight years, the AME Board of Advisors started a fund to honor his legacy, which was intended to support the undergraduate laboratories. 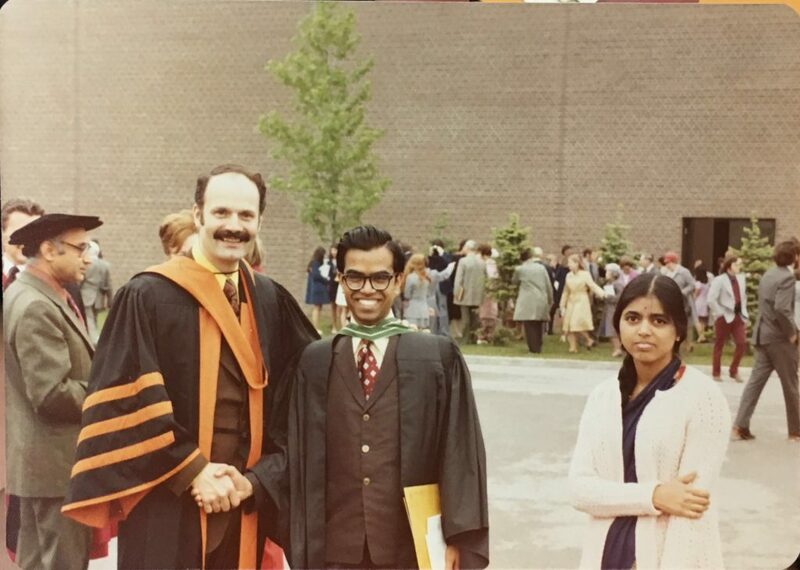 Now, after his retirement, to mark his passion and belief in providing valuable laboratory hands-on experience to students, Professor Gollahalli’s family decided to make a significant contribution to this fund to make it a permanent endowment, which will serve as a source of funding for this cause. “I am grateful to the AME Board of Advisors for establishing Gollahalli Legacy Fund to support instructional labs. I thank my wonderful students and friends for their generous donation for this cause, which will facilitate production of well-rounded future AME engineers,” said Professor Gollahalli. The Mentored Research Fellowship (MRF) award, sponsored by the Office of Undergraduate Research (O.U.R. ), was given to five of Dr. Chung-Hao Lee’s undergraduate students. Each award is in the amount of $1000 for conducting undergraduate research projects in the Biomechanics and Biomaterials Design lab (BBDL). According to the MRF website, the Mentored Research Fellowship is a program to cultivate and support student-mentor relationships while working on a research or creative project. This is part of the Office of Undergraduate Research’s commitment to empowering students’ exploration. MRF is open to all University of Oklahoma-Norman Campus undergraduate students.